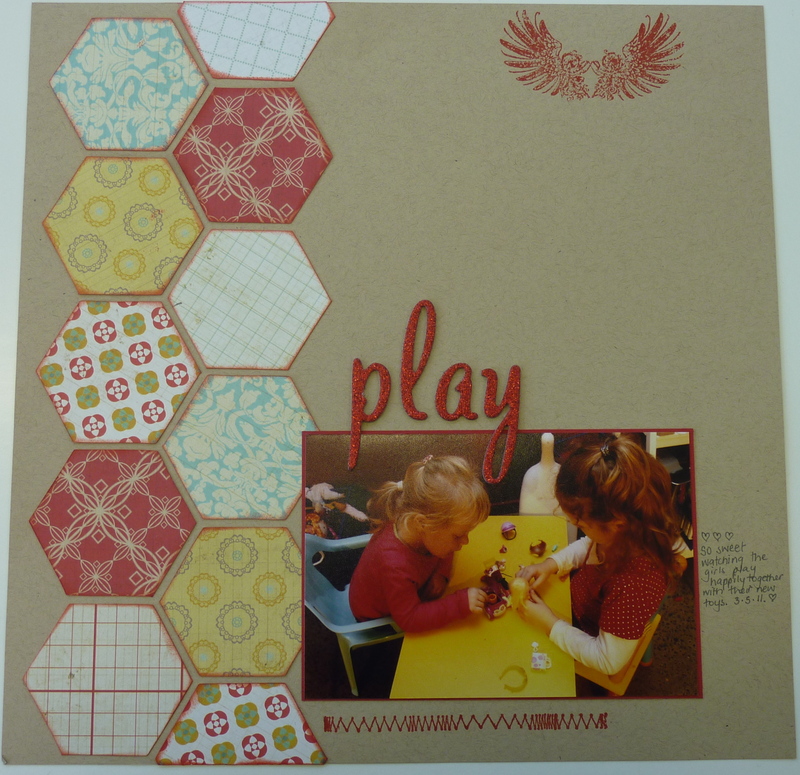 A lovely LO with some cool hexagons and the Lily Bee Memorandum Collection kit. 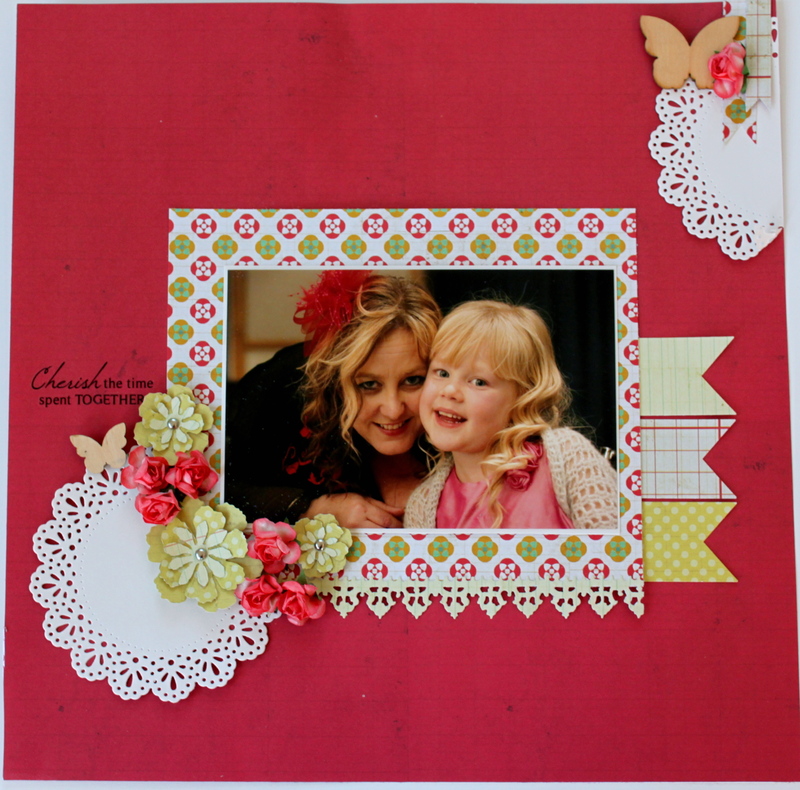 The stamps are Stampers Anonymous Tim Holtz collection – our favourite red rubber stamps – the detail is amazing and using stamps on you LO adds another super dimension to your page. Think about using stamps where you would normally use a rub-on on your LO. You are only limited by how many colours of ink you have. 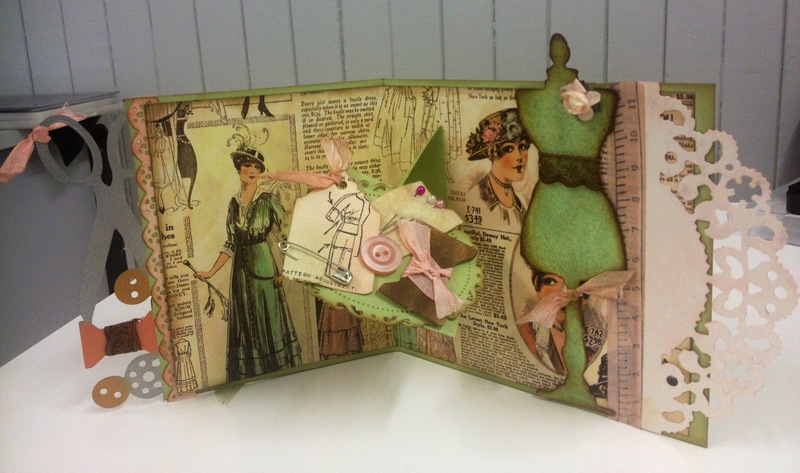 The background is Kraft – another favourite “go to” color that works so well with most papers. Thickers are used for the title. 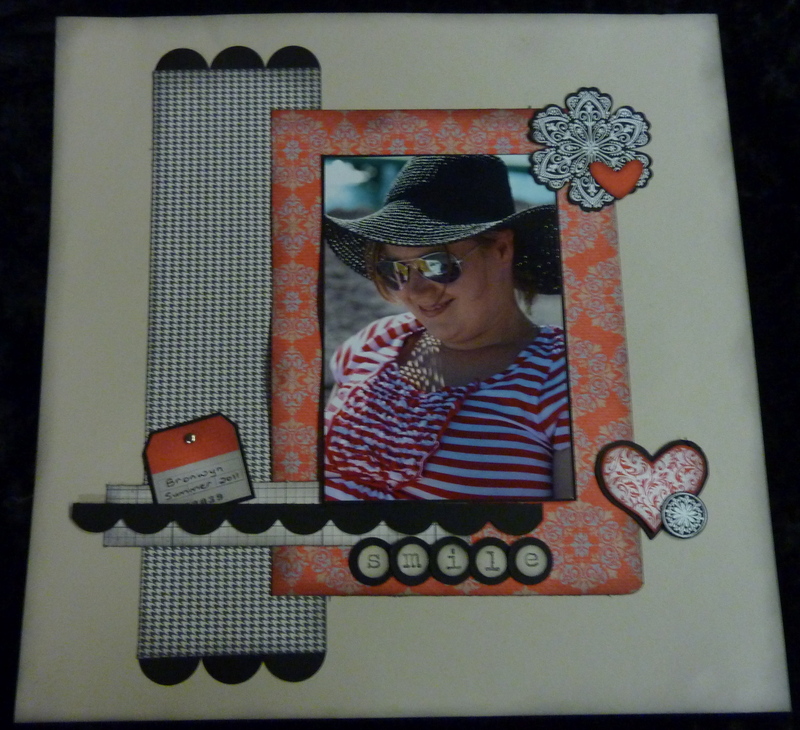 Last night – was Midnight Madness at Craft Haven. We papercrafted the evening away – and yes, by about 11:00pm it is all getting a little ‘mad’ – only in the crazy, fun, laugh till it hurts way – not the where is the straight jacket, lock me up way. We had a sketch challenge and this was my LO on display as inspiration for the sketch. I kept it pretty simple and clean as a good place to start for newbie scrappers. There is some perfect pearl mist, spritzed thru a TCW mask, but the photo doesn’t really show it up too well. 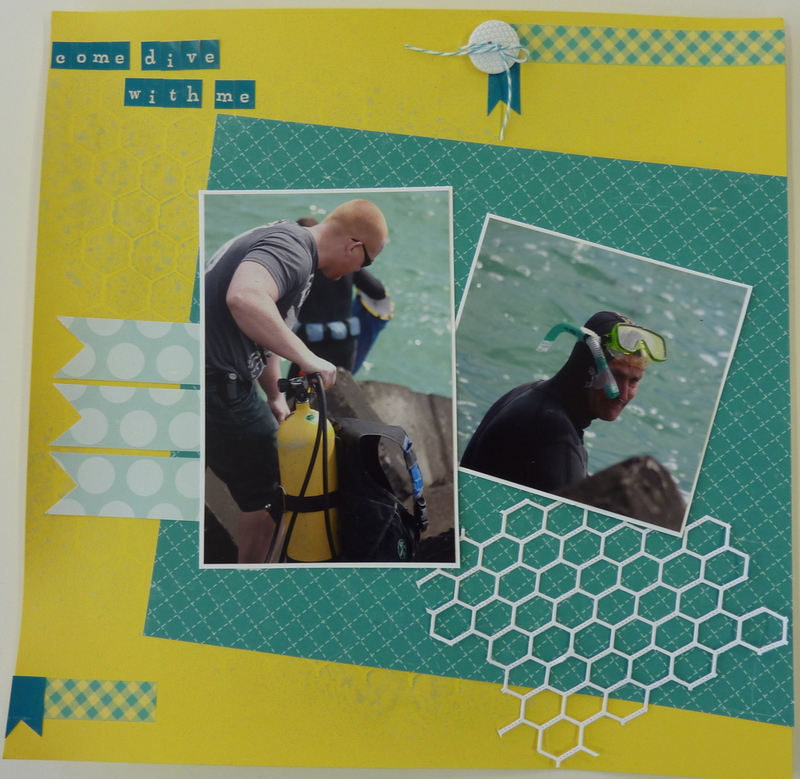 I love the Cherry Lyn dies, and chicken mesh is a favourite of mine – so many different uses – here it takes on a fishing net look. Of course Washi tape is fun to work with and another fav of mine at the moment. The papers, lettering and pennants are from A Walk in the Park Collection Kit – by Echo Park. Once again an old photo – 19 years old – my eldest son. Wow, where has the time gone? 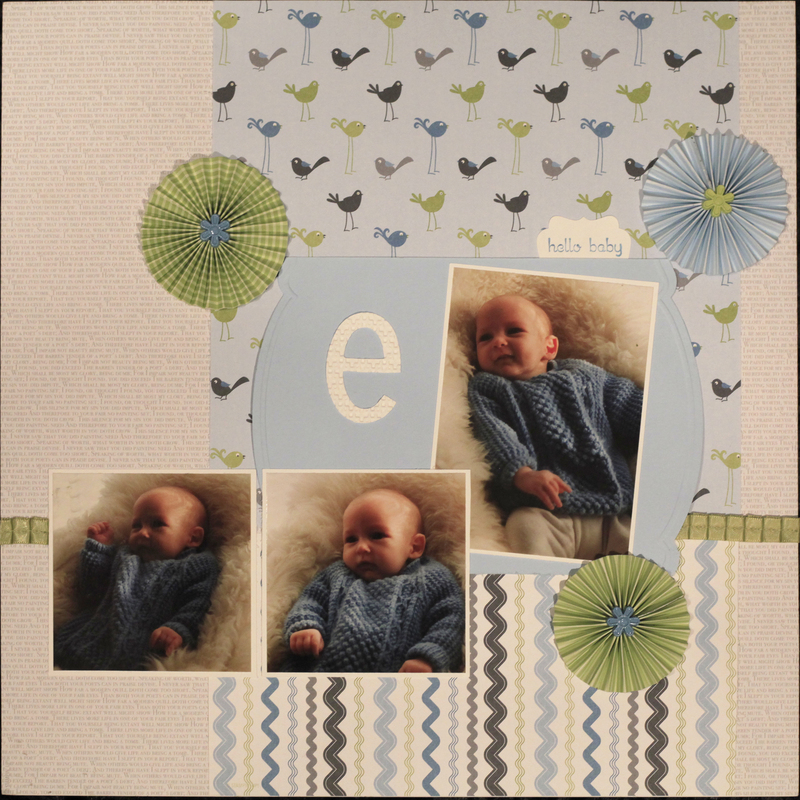 When I started scrapbooking I chose not to scrap consecutively – that is from baby years to present – but random photos as the mood took me. This way of scrapping has been great as my style has changed so much and it is really nice to have some of the “older” photos in LOs with my current style and of course all the wonderful things that we didn’t have when I started out over 10 year ago. I love rosettes or pinwheels or whatever you may call them – they are fun and add super dimension to your LO. 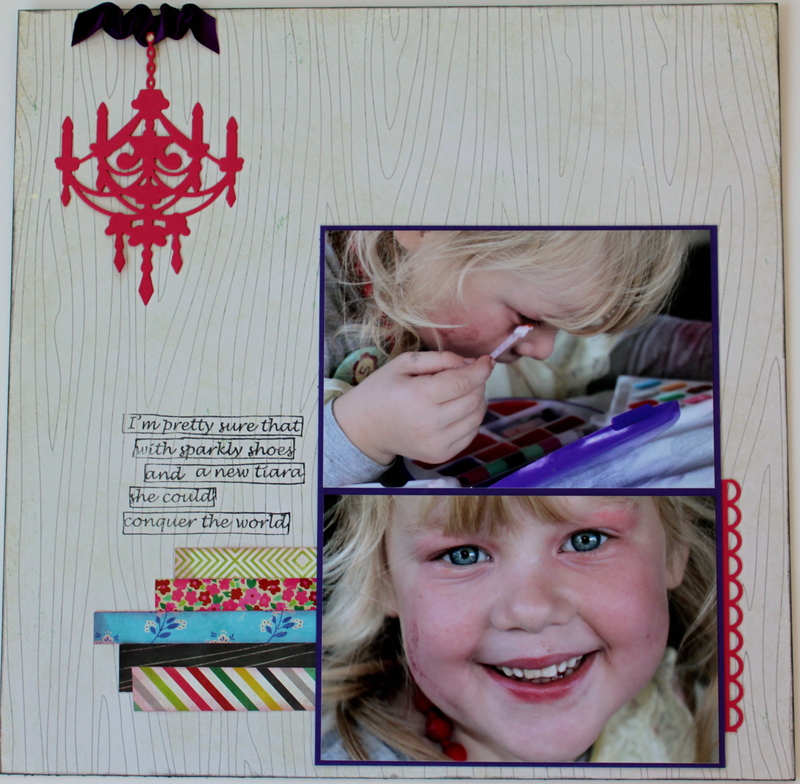 I know it has been ages since I blogged – I have been scrapping but just haven’t taken many photos of my latest LO – it is on my to do list. Anyhow – this is my favorite LO at the moment, I love pennants or flags depending on what you call them. I saw this LO as a sketch somewhere – Pinterest I think. 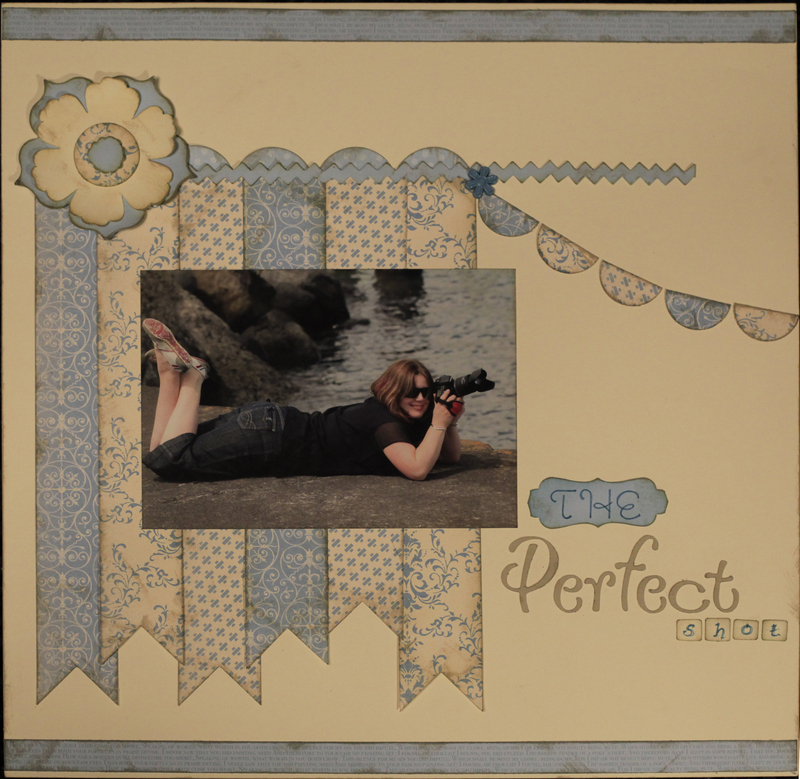 This photo is of Bronwyn my wonderful SIL, she shows such dedication for the perfect shot, her favorite color is blue so the DSP Beau Chateau is perfect for this LO. This LO is of my wonderful sister (in-law), Bron, caught in a candid moment. I used the Simply Scrappin’ Ticket and Tags kit, along with the Mixed Bunch stamp set, matching punch and I (heart) Hearts stamps set. 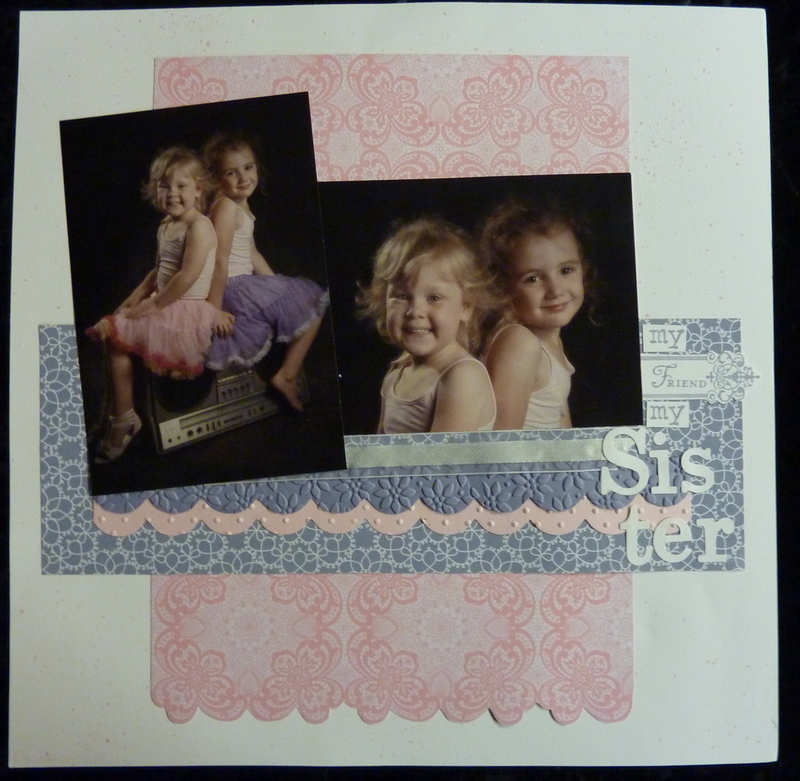 I embossed the stamped images in white which adds some great texture to the LO. I really love these beautiful photos of my gorgeous nieces. 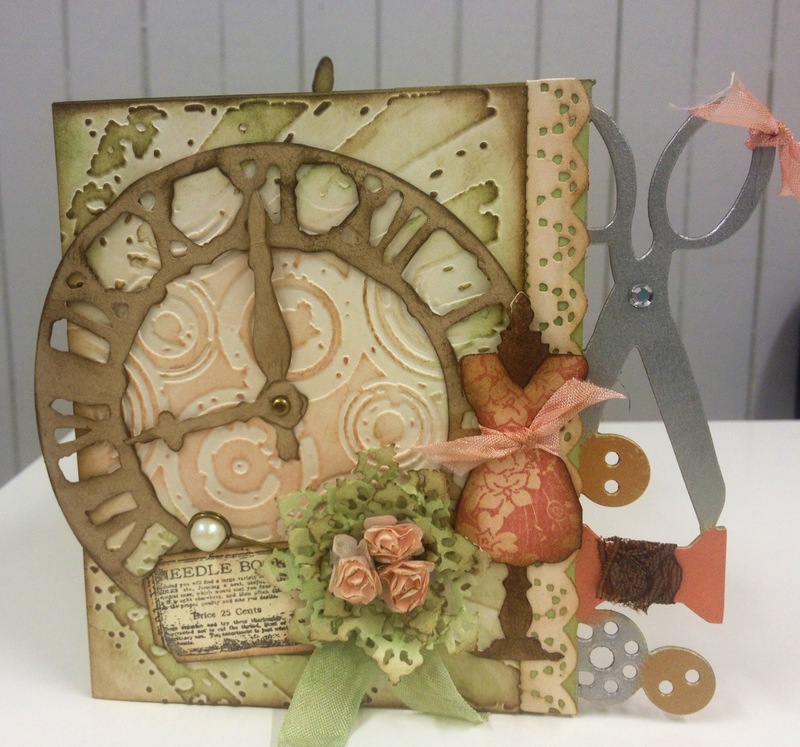 I used the Flirtatious Specialty DSP, the Tasteful Trim Big Shot die, Timeless Type die, Creative Element stamp set. This is another easy peasy 15 min LO – fast and fun.